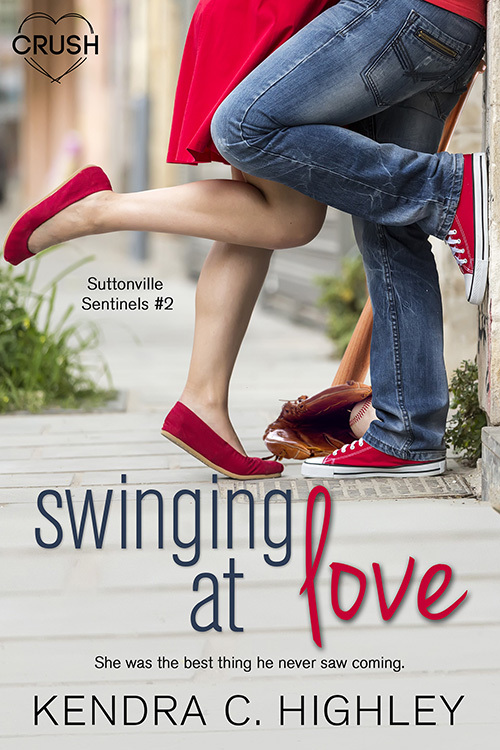 I’m so excited to announce the release of Swinging at Love, book 2 in the Suttonville Sentinels series (and yes! there will be a book 3). I’ve loved this book since the first line, with Alyssa and Tristan capturing my heart over and over. They may be the most realistic couple I’ve written. Both have problems, both have determination, but they need each other to really be complete. Plus, Tristan’s mom makes the worst meatloaf in the universe. Ask around–it’s true. Without further ado, here’s the cover and blurb. I love this cover. Red’s my favorite color, and Converse FTW! You can find the book in eBook or paperback at all major retailers. For more info, check it out on the Entangled website here. I hope you enjoy it as much as I have! This entry was posted in Blog on March 13, 2017 by Kendra.